Note: To see the motions in the original formatting, please see the Google Document here. Section 2. 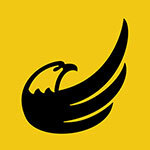 The object and purpose of the LPF is to engage in political action in the State of Florida, to serve as an affiliate organization of the Libertarian Party in national politics, and to serve as a nucleus for designated county affiliate organizations and LPF members in matters of statewide political action. Section 1. LPF membership is open to whoever signs the pledge: “I hereby certify that I do not believe in or advocate the initiation of force as a means of achieving political or social goals and asks to be a member of the LPF. Section 2. Affiliate organizations which choose to become affiliated parties of the LPF shall apply for official designation on a standard petition form for County Affiliates, as adopted by the Executive Committee and subject to the Bylaws and Standing Rules. No change in the Bylaws or Standing Rules may have the effect of imposing a head tax on the membership. Section 5. Certain rights and privileges of membership, including delegate status, committee appointments and observation of committee meetings, holding party office, exercise of voting rights in the conduct of any Libertarian Party of Florida business, and the right to bring business before the Annual Business Meeting, shall be unavailable to members and officers of any other political party registered in the state of Florida. Members and officers of other political parties registered in the state of Florida may participate in discussion on items of business brought before the membership, subject to the discretion of the Chair or majority vote of the body. Affiliate organizations which choose to become affiliated parties of the LPF shall apply for official designation on a standard petition form for County Affiliates, as adopted by the Executive Committee and subject to the Bylaws and Standing Rules. (A) The Rules Committee will, be composed of the LPF Chair, LPF Secretary and three (3) other members of the party not on the Executive Committee, appointed annually by the Chair to serve a one-year term. The Rules Committee shall be responsible for interpreting the Constitution based on current Florida Statutes and upon order of the Executive Committee shall prepare and submit amendments to the Constitution and Bylaws for a vote by the membership at the Annual Business Meeting. Section 7 The Membership Committee shall be appointed by the Executive Committee and shall consist of at least five (5) members of the LPF with the majority NOT being members of the Executive Committee. The Committee shall include the Membership LPF Secretary for the party, and shall oversee the activities of the Membership Secretary, giving assistance where needed. The principal duties of the Membership Committee shall be responsibility for increasing the membership in the LPF and for increasing the LP voter registration. The Membership Committee is also responsible for recruiting members both for the Affiliate and for the LPF. The Membership Secretary shall be responsible for maintaining party membership records and/or sending out dues notices on a timely basis to those members whose dues are about to lapse. Section 7. The Membership Committee shall be appointed by the Chair and confirmed by the Executive Committee. It shall consist of at least five (5) members of the LPF with the majority NOT being members of the Executive Committee. The Committee must include the LPF Secretary, who maintains the membership records, with assistance and guidance from this committee. The principal duties of the Membership Committee shall be responsibility for increasing the membership in the LPF and for increasing the LP voter registration. The Membership Committee is also responsible for recruiting members both for the Affiliate and for the LPF. A. Amendments must be published among the Executive Committee, the County Affiliates and all members in good standing, thirty (30) days prior to the Annual Business Meeting and passed by two-thirds of the members present at that meeting. A. Amendments must be published on the official LPF web page and notice of that publication must be given to the Executive Committee, the County Affiliates and all members in good standing thirty (30) days prior to the Annual Business Meeting. Only amendments that are properly published and given proper notice will be heard at the annual meeting. This constitution is amended by a vote of 2/3 of the membership at any regular or special meeting. Section 1. The Officers and Directors-at-large. of the Executive Committee shall be elected at the Annual Business Meeting by the delegate assembly majority vote for a period of two (2) years. Election of Executive Committee Officers. The Chair, Vice-Chair and odd numbered Directors-at-large shall be elected in odd numbered years. The Secretary, Treasurer, and even numbered Directors-at-large shall be elected in even numbered years and in 2001. Regional Representatives shall be elected at the Annual Business Meeting and shall serve for a period of one (1) year. These Executive Committee members shall take office upon the close of the Annual Business Meeting and serve thereafter until the final adjournment of the Annual Business Meeting at which their terms expire. A. No offices shall be combined. allotted time to another candidate. F. Any member elected or appointed to serve on the Executive Committee or other LPF committee shall be a member of the Libertarian Party of Florida, and shall, upon request, show proof of registration as a Libertarian voter in the State of Florida. special meeting shall be acted upon at the special meeting. Section 3. Delegates shall be members as prescribed in ARTICLE II of the Constitution on the day of commencement of the annual business meeting and a delegate must be a verifiably registered Libertarian Party of Florida voter in the state of Florida or have signed a new voter registration or party change form to become a valid registered LPF voter to the LPF secretary prior to the start of the annual business meeting. Delegate status may be denied by a 2/3 majority vote of the Executive Committee if a potential delegate has been found to have violated the non-aggression principle. C. Credentials: Each affiliate chair shall be responsible for submitting a list of delegates from his/her county to the Secretary of the LPF at least 45 days prior to the start of the general business meeting of the convention. Each Regional Representative of the LPF shall be responsible for submitting a list of delegates from each unaffiliated county in his/her region, to the Secretary of the LPF at least 45 days prior to the start of the general business meeting of the convention. F. The host affiliate shall serve as the Convention Committee and make all arrangements for the physical needs of the convention. Party meetings may also be hosted by affiliates. Section 4. “The Membership Committee shall act to coordinate volunteers.